Wreaths can be a fun addition to your event or wedding. Here are just a few examples of how we have helped our clients add a special touch using wreaths. 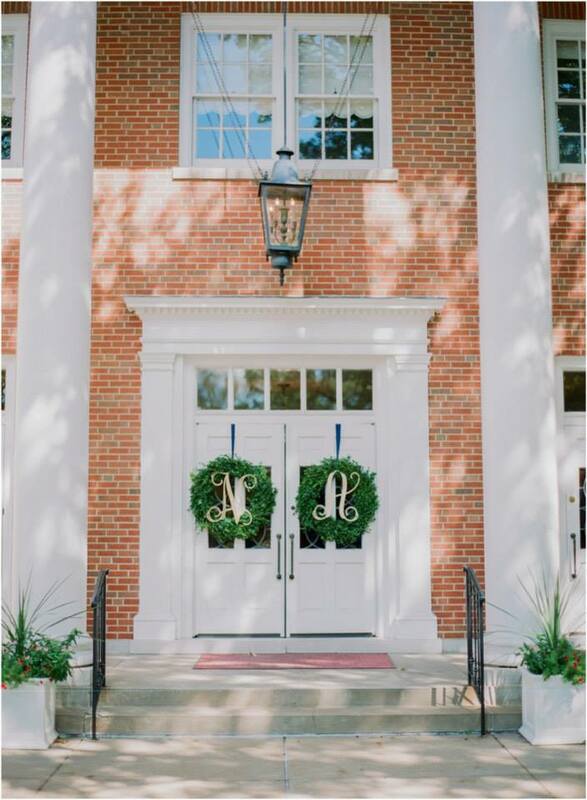 These sweet carnation wreaths adorned the chapel doors at this wedding. Here’s another gorgeous way to incorporate a wreath into a ceremony. We attached this wreath to the back of the bride and groom’s chairs at the front of the church. Greenery wreaths are also a fresh, fun way to soften ceremony doors. These are made entirely of boxwood. 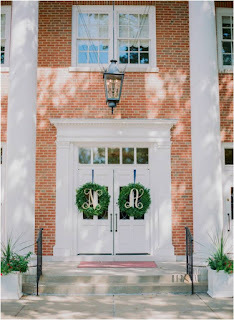 For a special added touch, this bride included their initials on these boxwood wreaths. What can we say? We LOVE wreaths!